SEMAT (the Le Touquet Paris-Plage Airport public listed company) is here to assist you with any requests you may have. 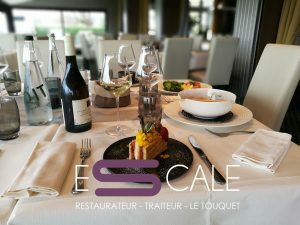 Our stewards can help you with information, choosing a restaurant or hotel to book… or direct you to the Le Touquet Tourist Information Office website: www.letouquet.com. On arrival, or before you leave, visit the relaxation area for refreshments, a hot drink or a snack. Meeting room: Whether for business meetings, clubs or associations, the Airport can provide a meeting room with audio-visual equipment, seating up to 20 people. Parking: For your convenience, a free car park with 500 spaces is available for stays of a few moments up to several days. WIFI access: Free WIFI is available, please ask for details at the reception desk.